Well look at that. The lovely links logo got a makeover for this week's links! It now matches my header and the MRFB branding a little better :). And what can I say, it's the little things like this that bring a smile to my face. (Woohoo!) Now let's get to the fun things I spied around the web the past couple of weeks. 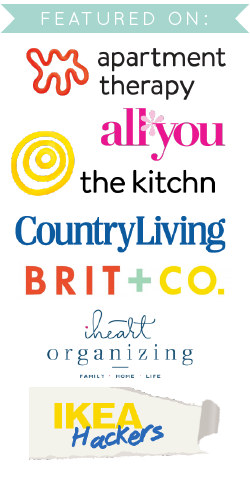 1 | Glitter Guide's home tour of blogger With Love From Kat. I especially loved the brick wall dotted with white frames. 3 | This craft storage closet from House for Five via IHeart Organizing. 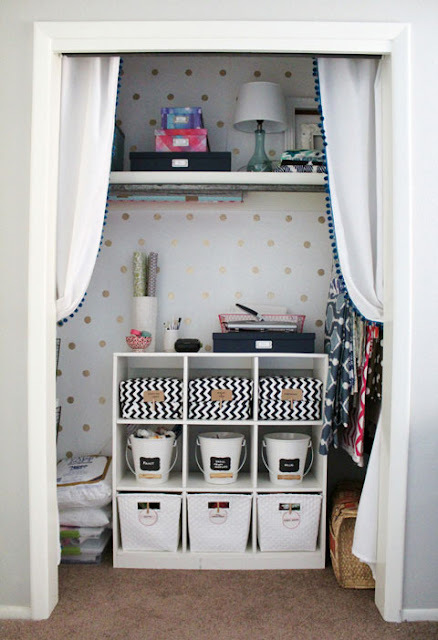 Who needs a whole craft room when you have a space as cute (and functional) as this? 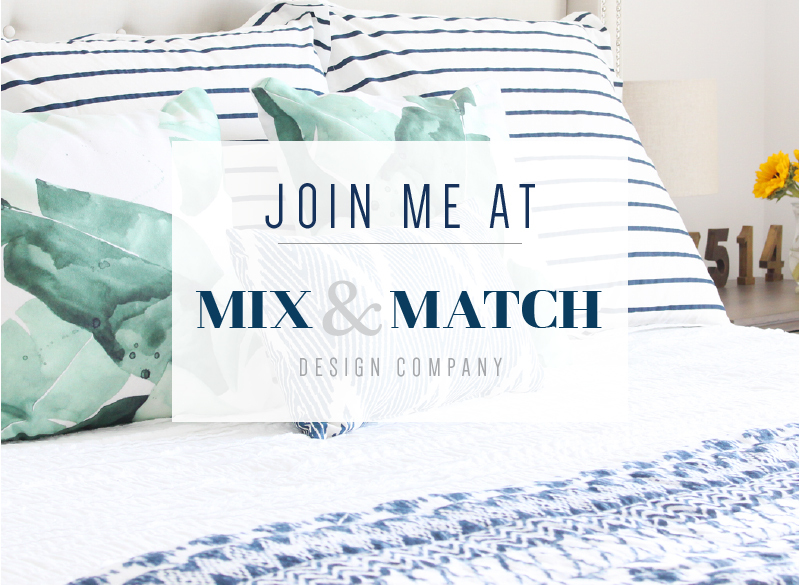 4 | I came across this really fun idea called Trade and Made thanks to some new crazy-talented crafty ladies I'm following Twitter. Here's the premise: send box of identical craft supplies to 13 different bloggers. Said bloggers create something unique out of only the supplies in the box. Present project on blog. I clicked through each one, y'all. It was so fun. If I was ever asked to participate in something like this, I'd jump on it in a second. 5 | I made the mistake of looking at recipes before lunchtime recently. Don't do that. 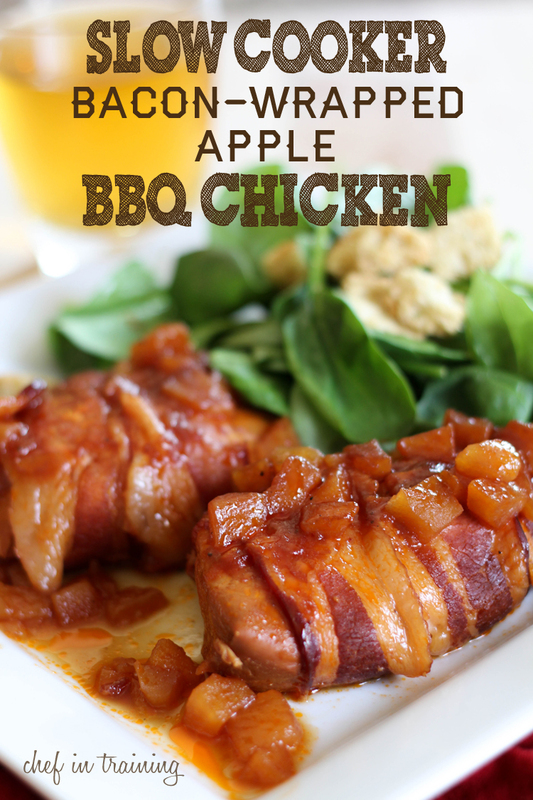 It'll only make your mouth water and make you sad that your brought-from-home lunch doesn't look nearly as good as, let's say, this slow cooker bacon-wrapped apple chicken from Chef-In-Training. Oy. Mouth. Watering. Now. 6 | Shannon's (of Burlap and Lace) pink and white office cabinet is darling. I love how feminine it is - perfect for her office. 7 | This is so sweet and so cheesy, which is why I think I love it so much. 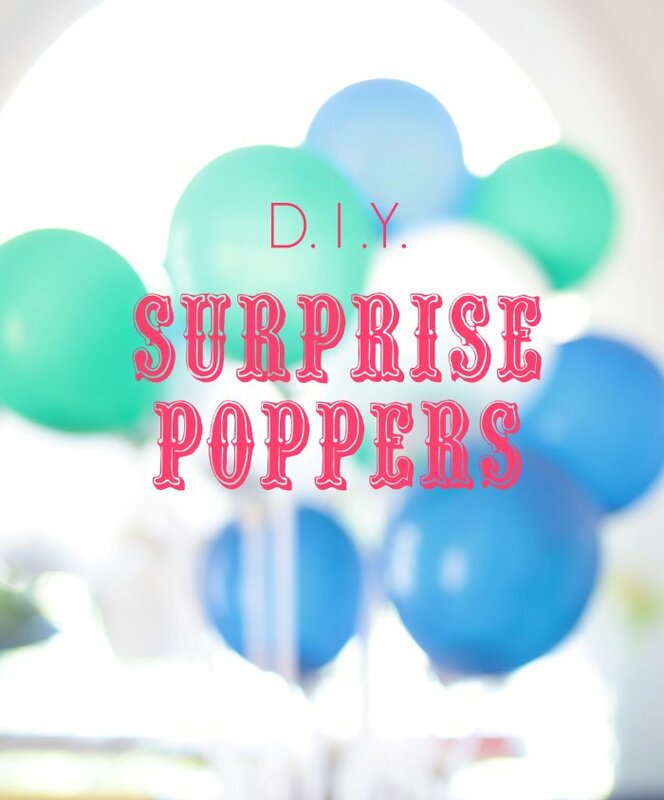 Emily Henderson made balloon poppers with little love notes in them for her husband. You can't not go "awww!" when you read about them. Trust me. 8 | My undying love for typefaces continues with a new one called Festivo Letters. I came across it on Hank and Hunt. Though this one's not free, it's a great deal because you actually get 19 different versions of the font for $19. Future purchase coming? That pink and white office cabinet is so lovely! The whole pink and gold thing that's happening right now is fantastic. I'm over from the YHL link. I have been looking at your blog posts for the last hour! Your blog is refreshing and creative. I've already copied a recipe and printed the " Be still and know that I am God " print on some cardstock. Thank you!! One of my devotionals today told me exactly that. God speaks to us all the time, when we take the time to listen and don't let busyness be an idol (which I admit is a challenge for me.) 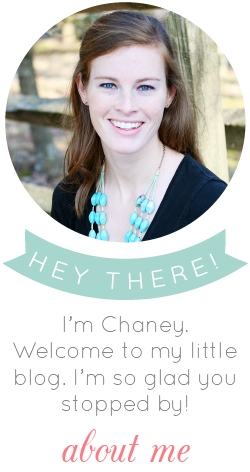 I will definitely be a follower of your delightful blog. Your DIY projects are awesome. Thanks so much for including our office closet here! 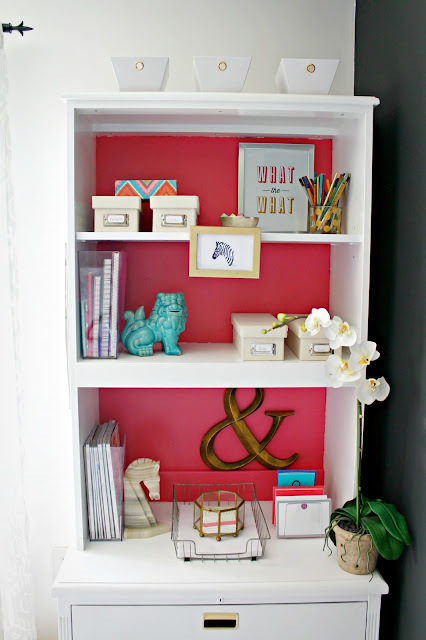 That pink bookcase is amazing and those might be the happiest school supplies I've ever seen!